Image from 1918 Suffolk Chronicle & Mercury Newspaper. Charles is remembered on the war memorial at Holy Trinity Church, Ipswich. Born: 1895, Holy Trinity, Ipswich. Died: 16th July 1918; age 23; of Pneumonia at Station Hospital, Wellington, whilst on leave in India. Served 5 years & 135 days. Grandmother Mrs. Wilby, of 11, Unity Street, Ipswich notified 25th July 1918. Residence: 11, Unity Street, Ipswich. Occupation: Clerk at Tollemache Ipswich Brewery. Enlistment Location: Ipswich; date: 4th March 1913; age 17 years & 11 months. Sign up for 4 years and again for the Duration of the War. Next of Kin: grandmother – Mrs. Elizabeth Wilby, of 11, Unity Street, Ipswich. Height: 5ft 7ins. Training: 4th March 1913 – Saxmundham, Suffolk. Training: 12th July 1913 – Pakefield, Suffolk. Embodied – Ipswich – 5th August 1914. Transferred 25th London – 23rd December 1915. Mediterranean Expeditionary Force: 19th November 1917 – 16th July 1918. Rank: Private; Service Number: T.F. 267477. Regiment: Duke of Cambridge’s Own, Middlesex Regiment, 1st/9th (T.F.) Battalion. Formerly 1214, Suffolk Regiment, 6th Cyclist Battalion. Medals Awarded: Victory, British War & Territorial Force War Medal. 1901 11, Unity Street, Ipswich. Charles was 6 years old he was living with his brother at the home of his widowed, maternal grandmother & aunt & uncles. Elizabeth Emma Wilby (nee Pear), 59, born Ipswich. 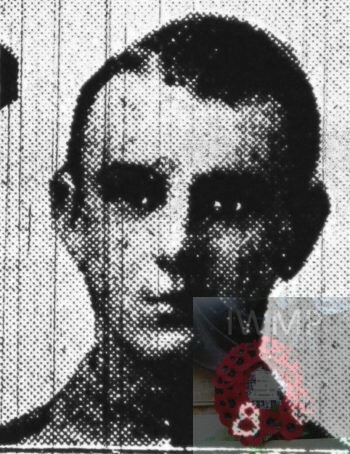 Herbert John Wilby, 26, a Plough Fitter, born Ipswich. Owen White Wilby, 25, a Quay Labourer, born Ipswich. Frederick William Wilby, 20, a Shoemaker, born Ipswich. Grace Mabel Wilby, 19, a Book Binder, born Ipswich. Richard Stanley Wilby, 16, an Iron Turner – Engine Maker, born Ipswich. Walter Leslie Kettle, 7, born Ipswich. 1911 11, Unity Street, Ipswich. Charles completed the census form for his grandmother. Charles was 16 years old, a Junior Clerk – Coal. He was living with his grandmother, aunt & uncle. Owen, 34, a Dock Labourer. Grace, 26, a Book Binder – Printer, Stationer & Bookbinders. Charles’s grandmother, Elizabeth Emma Wilby died 1921, Ipswich. Charles’s father was Henry Kettle, born 1858, Ipswich – died 1899, Ipswich – a Fitter at an Agricultural Foundry. His mother was Emma Jane Wilby, born 1867, Ipswich. After the death of Henry, Emma married Alfred Ernest Jessop, a Mariner, born 1872, Boston, Lincolnshire. Big case, big holder & case, wrist watch & guard, 3 pieces of fancy work, helmet splash, 6 discs, packet of views & photos. On the 5th October 1922, Emma Jessop received her late son’s Territorial Force War Medal, Victory & British War medals, at her home – Vine Villa, Church Road, Boston, Lincolnshire. Soldiers’ Effects to Emma Jane Jessop – mother, Alfred William Jessop, Stanley George Kettle & Walter Leslie Kettle – brothers.